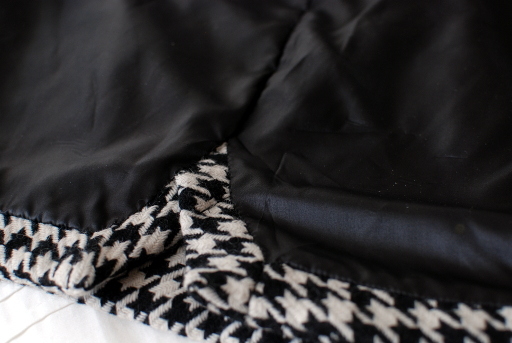 I have a combination outfit for you today! 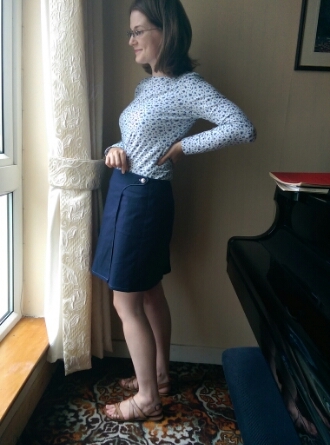 I knit the cardigan in the summer and made the skirt recently. I think they go really well together. Let’s start with the cardigan! 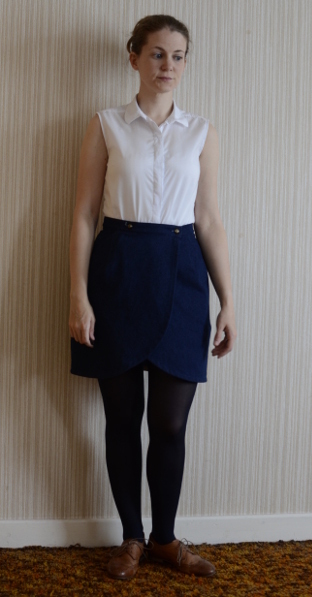 I really wanted a cropped cardigan to wear with the few high-waisted skirts I have. 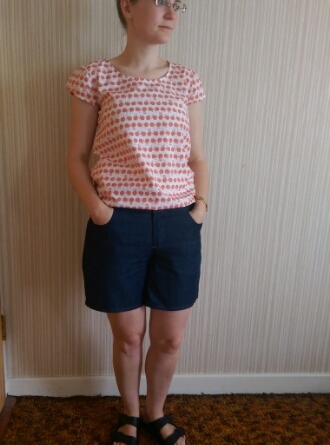 I used Debbie Bliss Mia from This is Knit. It took about 8 balls. 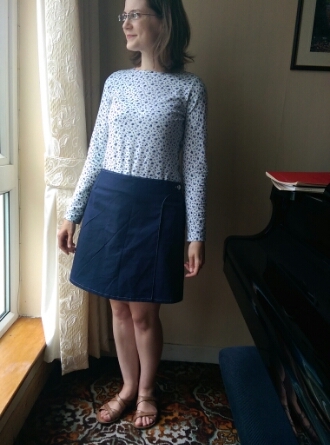 I didn’t much like the selection of patterns on Ravelry so I just kept it simple and used the Barbara Walker recipe for a top-down set-in-sleeve construction. Do you notice a button oddity there? 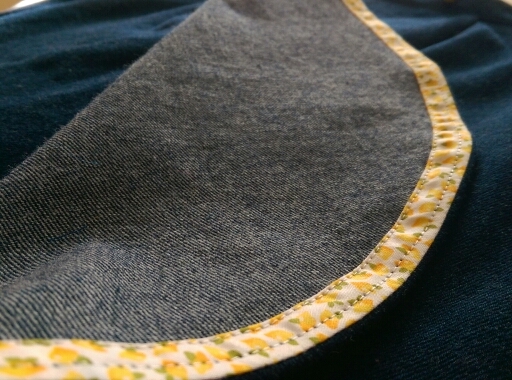 I sewed on four buttons but cut the top one off (I can’t remember why – there was a reason at the time). 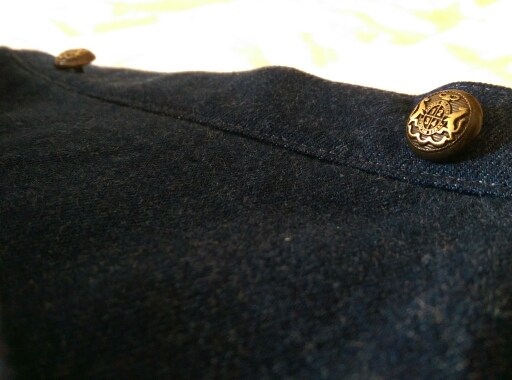 I’ve changed my mind and think it looks better with the top button… but now I can’t find the one I cut off! I’m sure it will turn up during some excavation or another. 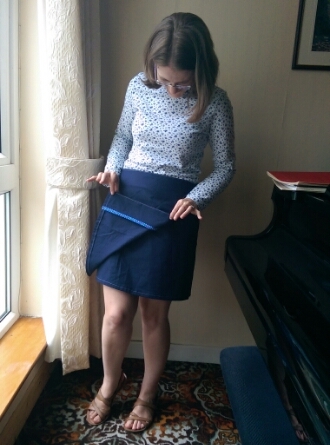 As for the skirt, I used a sturdy failsafe pattern, the Colette Ginger. 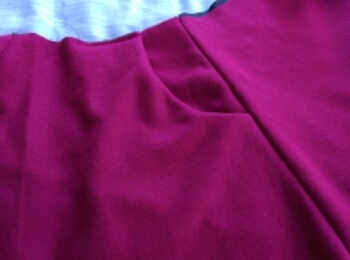 I didn’t change anything from the last time I made it – I grade from size 6 at the waist to size 8 at the hip. 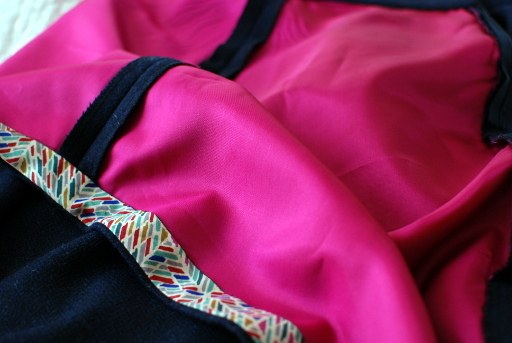 Rather than making a separate lining, I overlocked the lining and shell pieces together. It’s not as nice a finish, but I’m hoping it will help maintain the shape better over time. 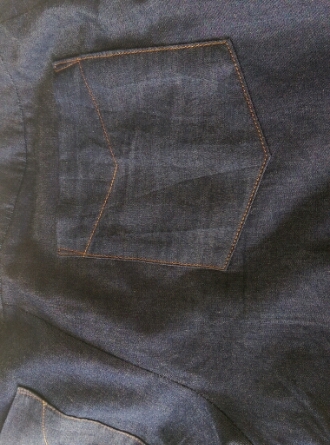 I must concede that my original navy Ginger, made in September 2012, needs to be retired. 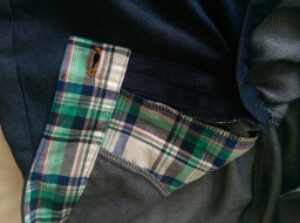 Everytime I put it on, I take it off again because it just looks worn out. 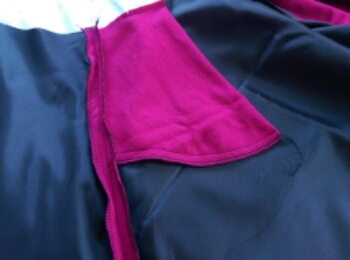 It is completely misshapen and the lining has disintegrated on the inside (pre-overlocker sewing!). 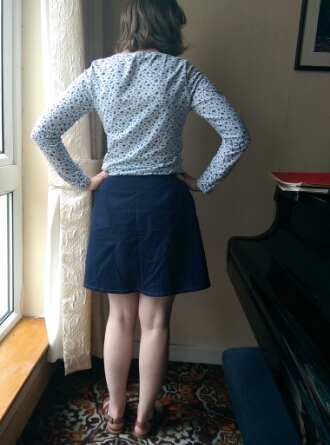 It was a good and faithful skirt.